The Simple way to add a grip to any handle. 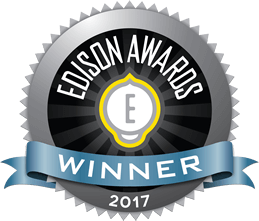 Out of 500 innovators from 20 countries around the world, Re-Grip was awarded the bronze medal at the Edison Awards. Makes Old Tools New and New Tools Better! Some of today’s tools come with grips that are formed of soft material for comfort, but they can wear down or break apart. Other grips are formed of a harder material to be more durable, but those grips may sacrifice comfort. Replacement grips are available, but tend to be specific to a particular handle and application, such as golf clubs or tennis rackets. These are usually replaced by professionals because of the difficulty and expertise required. Re-Grip fills the void by providing durability without sacrificing comfort; it can be installed on almost any handle and is easy enough that anyone can add a new grip.